If you're looking for something to do in Tampa, there’s never a shortage of arts and entertainment events. When one show closes, another one opens right on its heels, always leaving the weekend full of drama, comedy, intrigue and holiday spirit! This week another Broadway tour makes its Tampa debut at the Straz Center to highlight stage shows in the community. And anyone looking to celebrate the holidays and spread some cheer around will find music concerts, Christmas lights, and seasonal films all over town. Here are some of Tampa’s featured events in the arts this week. Andrew Lloyd Webber's sequel to The Phantom of the Opera continues the ultimate love story in Love Never Dies. 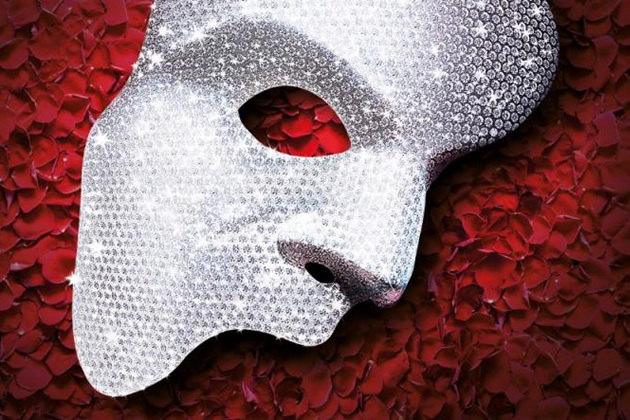 This fantastic new production, making its Tampa premiere, takes audiences on a spellbinding roller coaster ride as the Phantom escapes to a new life in New York City a decade after his disappearance from the Paris Opera House. Finally finding a place for his music to soar, he has never stopped yearning for his one true love. Directed by Angel Borths, it's the holiday classic adaptation of Ebenezer Scrooge's journey from "bah-humbug" to a charitable human when three spirits show him the true meaning of life, love and happiness on Christmas Eve. Performances take place Thursday through Sunday, and there's a special holiday discount for children under 12 on Fridays. This show runs through December 23rd. This holiday-themed improv spectacular is purely spontaneous fun. It will make you laugh so hard you cry! The Box Theatre is conveniently located in University Square Mall. Come see this empowering original play about the lives of Betty and Harold Taylor, the parents of the playwright Fran Powers. It's 1950 in San Diego, and Betty, a waitress and single mother, is working to support her two daughters. When Harold, a sailor, walks in for lunch, the two are forever connected. This is the final weekend of this production. Presented by Tampa Bay Triple Threat Theatre at HCC Ybor Mainstage Theatre, 1304 E. 11th Avenue, Tampa, FL 33605. Come see everyone's favorite blockhead in a musical perfect for the whole family. Watch the Peanuts gang come to life as they learn about life, happiness, and book reports! Performed by the students of Tampa Bay Triple Threat Theatre. The Tony Award-winning musical returns to Stageworks for the holidays! Come find your purpose with this laugh-out-loud musical about a recent college grad trying to make it while meeting new friends along the way. Part flesh, part felt, all fun! Join the company for Brunch on Sundays for $55! Show runs through December 23. Ring in the season with the 50th anniversary of this choral holiday favorite from one of the best classical performers in Tampa, conducted by Nancy M. Callahan with full orchestration and soloists. No tickets are needed for this free event -- seating is general admission, and an offering will be collected during the concert. Doors open one hour prior to the concert, with a string ensemble playing your favorite holiday tunes at the beginning of the concert. Join the Tampa Oratorio Singers in celebrating the holidays with a collection of sacred and traditional favorites as Ave Maria, Still, Still, Still, and I'll Be Home for Christmas. Music Director Nancy Callahan will conduct the performance. World-renowned pianist Emile Pandolfi performs in the intimate Carrollwood Cultural Center. The Valerie Gillespie Jazz Ensemble celebrates the season with an evening of holiday jazz. Valerie Gillespie has performed with legends Joan Rivers and Diana Ross. and she brings her Tampa-based band to the intimate Firehouse Cultural Center in Ruskin. Presented by Tampa Theatre at Curtis Hixon Waterfront Park, 600 N. Ashley Drive, Tampa, FL 33602. Friday, December 15 | 7:30 p.m. | Free! Will Ferrell stars as Buddy the Elf, searching New York for his biological family and the everlasting power of the Christmas spirit. An instant classic, both family-friendly and delightfully hilarious, this film will be presented as a free community screening at Curtis Hixon Waterfront Park as part of the Winter Village Tampa event. Saturday, December 16 | 7:30 p.m. | Free! Jimmy Stewart's George Bailey is one of film's most iconic characters. He discovers while it may not be the life he wanted or deserved, his truly is a wonderful life. This holiday classic is a heartwarming tale of how treating your fellow man with kindness and love will always bring happiness. This film will be presented as a free community screening at Curtis Hixon Waterfront Park as part of the Winter Village Tampa event. The 36th annual Victorian Christmas Stroll combines a wide variety of decorations, unique ornaments, antique trees, colorful nutcrackers and much more to brighten the holiday spirit. Complimentary cider and cookies are served daily while live music plays from 6 - 8 p.m. With plenty to see and special guests and performances all month long, this exhibit is an event you won't want to miss! Straight out of an Alabama Christmas album, this staged reading by Plant City Entertainment is the story of two pageant queens missing their flight to Atlanta and two Marines home on leave, all stranded in Birmingham, Alabama. As always, don't forget to explore new restaurants before taking in a show and check out the nightlife after to make your date night a great night. Every time you support local arts and spread the word, it helps keep Tampa a thriving community. In addition to celebrating the holidays, check out 813area for the best Things To Do in the Bay Area around Christmas time. And don't forget to register for free on the site for the latest updates!